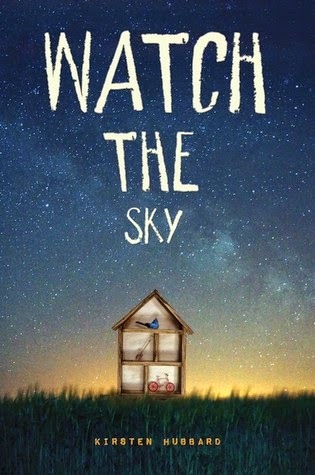 Watch the Sky is rather strange. The vibe, the story, the characters… all strange. It even starts strange. “It’s arrived”. What arrived? As you continue the story, we learn that its a sign. A paper? No. Maybe? The whole family wants to know. As a reader, I want to know. They all march downstairs to the patio at dawn to know the sign. A sign that will tell Caleb, Jory’s stepfather, the “truth”. A secret that is kept from Jory. Unfortunately, for the family, these signs are everywhere. Driving them insane. Insane to dig, again at dawn. Dig, dig, dig. This is what they do at late hours. Crazy hours that are killing Jory’s grade. His teacher start questioning him. Poor Jory, with no friends and now bad grades. He wants to be good. He wants to improve. But things at home are not good. As he befriends a lovable girl, he start to spill things. Things that are meant to be kept as secrets. According to Caleb that is. As she challenges the way he thinks, Jory begins to see differently. Which may get him in trouble with Caleb. I realized kids are easy to manipulate. This is what happened to Jory. However, I do not understand how his mother was so easy to follow Caleb blindly. This is my biggest issue with this book. I did like when Jory started to question Caleb’s sanity. He followed his guts and boy, glad he did! While I did like the story, I do believe this could’ve handled differently. It’s a short novel but Jory’s journey is long. Overall, worth the read.